Prior to joining Katten, he served as an Assistant US Attorney for the Southern District of New York. In that capacity, Michael oversaw the investigation and prosecution of numerous criminal cases involving terrorism, international money laundering, export violations, bribery of foreign officials, narcotics trafficking, Racketeer Influenced and Corrupt Organizations Act (RICO) and organized crime, murder, bank fraud, wire fraud, health care fraud and computer crimes. He is an experienced trial attorney and appellate advocate and was responsible for all aspects of litigation as a federal prosecutor—from pre-indictment investigation and grand jury practice through discovery, motion practice, trial and appeal. Throughout his tenure as an Assistant US Attorney, Michael worked closely with federal investigative and administrative agencies including the Federal Bureau of Investigation, the Internal Revenue Service, the Office of Foreign Assets Control and the State Department. He also coordinated federal prosecutions with law enforcement and government officials in other countries, including working with United Nations and Guatemalan prosecutors in the investigation and indictment of the former president of Guatemala, Alfonso Portillo, for money laundering. Since joining Katten, Michael has represented individuals and companies in a variety of criminal and regulatory matters, as well as in civil RICO and securities actions in federal court. He manages cases involving white collar insider trading and fraud, regulatory compliance issues, fraudulent tax shelters, money laundering and insurance fraud. Michael has conducted internal investigations for clients, including companies in the entertainment industry, health care industry and a major accounting firm. 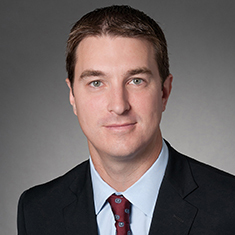 He also has represented multiple companies and individuals in connection with criminal, regulatory and rulemaking actions concerning bitcoin and other virtual currencies. Michael previously served as law clerk to the Honorable Jane R. Roth of the US Court of Appeals for the Third Circuit. Representation of an individual accused of market manipulation involving spoofing and coordinated trading. Representation of a hedge fund manager in connection with an insider trading investigation by the US Attorney's office and the SEC. Internal investigation of a major accounting firm amidst financial irregularities. Representation before the grand jury and US Court of Appeals for the Third Circuit of an individual charged in a RICO conspiracy involving payday lending. The appeal produced a precedential opinion, protecting attorney-client communications from crime-fraud allegations. Multiple representations of companies and individuals in connection with criminal, regulatory and rulemaking actions concerning bitcoin and other virtual currencies. Money laundering investigation of a potential foreign purchaser of a communications company. Successful representation of an individual foreign exchange trader and his company in connection with an SEC investigation resulting in a no-action letter. Representation of an owner of a pharmaceutical company in a criminal FDA matter. Representation of a loan company in the first-ever action brought by a state regulator under Dodd Frank's UDAAP provision. Internal investigation of a medical manufacturer and supplier concerning the development and testing of a medical device. Provision of advice regarding voluntary domestic and foreign tax disclosures by an individual and his investment company.